Michaela has been offered the Maud Tyler Scholarship to study Commercial Music Performance BMus Honours degree at Westminster University in September 2015. This is the first time a student from the College has been offered this sought after scholarship. 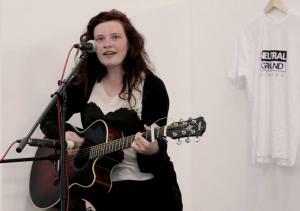 Michaela is one of the artists currently signed to East Surrey College’s record label, Neutral Ground. She performed to an invited audience in a live recording produced by the Music Production students and filmed by the Film & TV students. The recording is due to be broadcast at a later date on SUSY Radio.